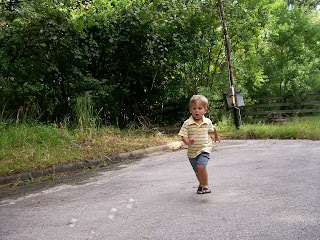 Some pictures of Dawson playing with his new bubble gun. 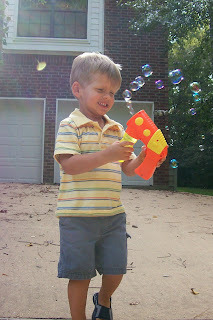 He really enjoyed pulling the trigger himself and making the bubbles come out, but he also had a great time running through the bubbles that I created with the bubble gun. 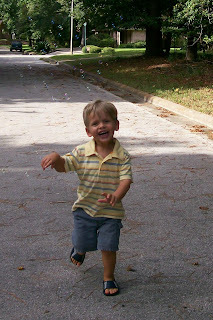 Oh my gosh, Jonah has one similar to this. He LOVES it!!! We bought one for Gagaw's house too!